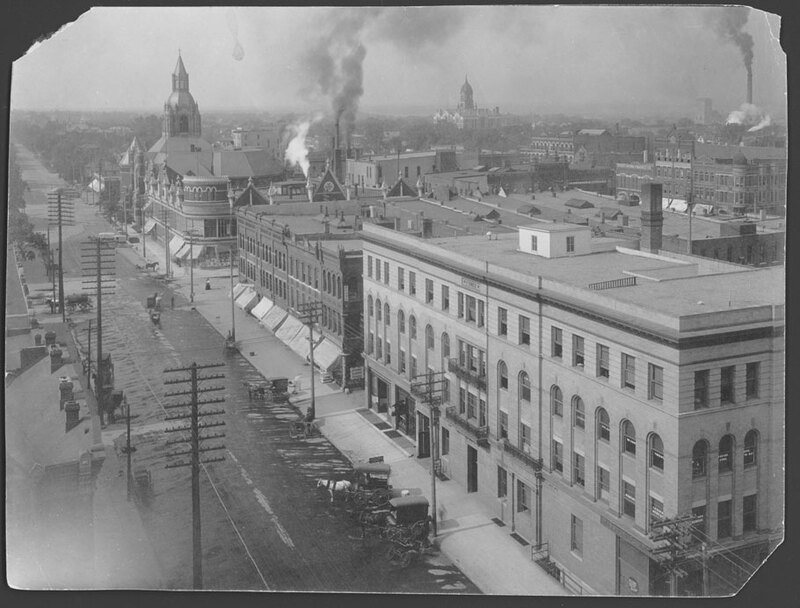 This is a black and white photo of Twelfth Street looking south from O Street. St. Paul's Methodist Church is the building a block down on the west side of Twelfth Street. The Lancaster County Courthouse at Tenth and K streets is in the distance on the right.